Raider. A name in Renault hot hatch folklore that sends tingles down the spine in a way that only the Alpine name can surpass. 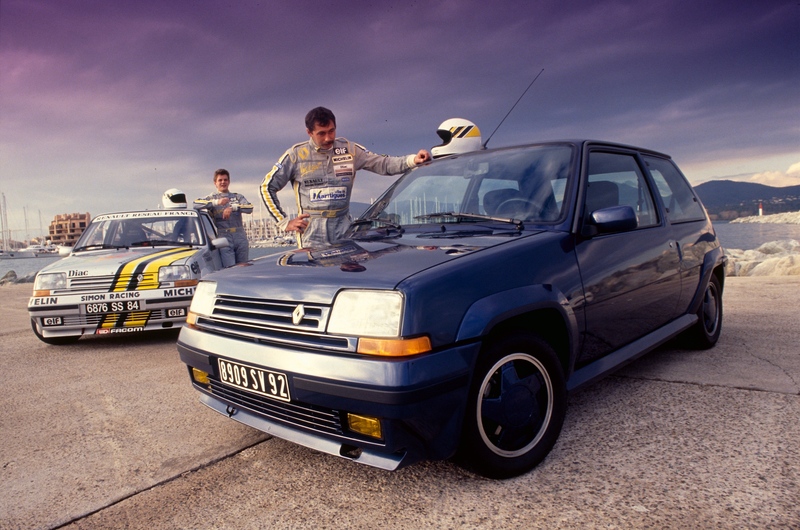 Forget your striped Gordinis, decontented Cups and the more recent Trophy specials, for Raider is a moniker so revered that Renault has only used it once before. The predecessor? A run-out special edition of the legendary 5 GT Turbo from 1990. Apt then, that the Raider badge makes a reappearance on a small, fast Renault as a run-out limited edition of just 50 examples. The basis now? The vaunted Clio RenaultSport 200. At a not inconsiderable £21,820, the latest Raider is the most expensive Clio since the demise of the mid-engined V6 models. Does it live up to the Midnight Blue tinted memories of its legendary namesake? As a starting point, basing a limited edition model on one of the most accomplished contemporary hot hatchbacks is a no brainer. 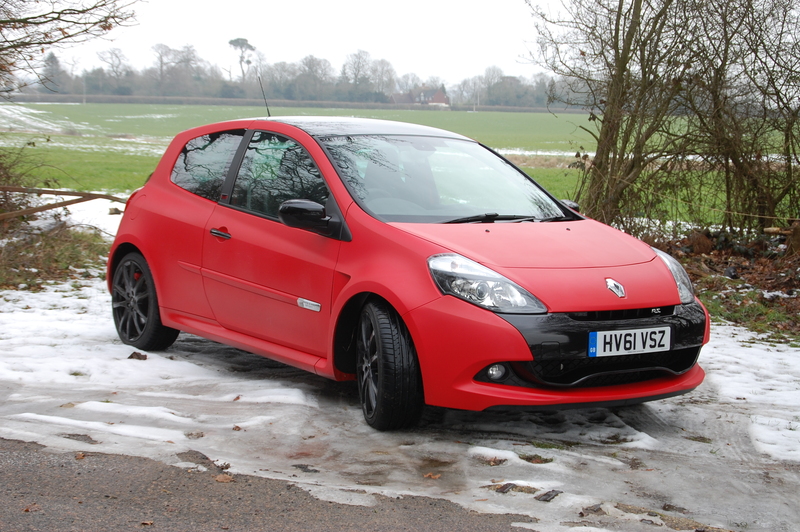 Read any review of the RenaultSport 200 versions of the third generation Clio and you’ll doubtless be salivating and desperate to get behind the chunky, leather clad wheel of one of these tin-topped sportsters. And after belatedly enjoying my first experience of one, I’m hooked too. Nestle yourself into the black, leather-clad Recaro seats, which hug you tighter than your favourite aunt, and you immediately feel like you’re in a purpose built sports car, albeit one clothed in a small hatchback body. The thick-rimmed steering wheel feels great to hold, its tactility reinforced by the delight that is the short throw manual gearbox. 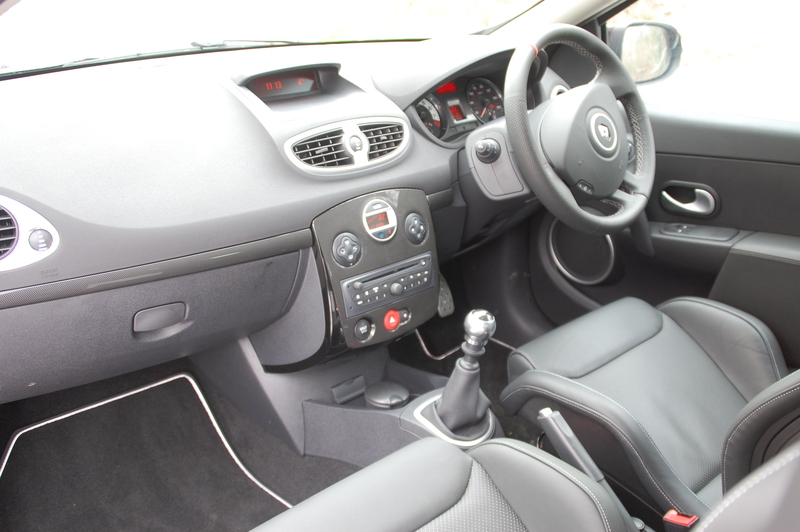 Regular readers will recall my appreciation for dual-clutch gearboxes and whilst that hasn’t changed, the offering in the Clio 200 is proof that an unobtrusive, slick changing manual, with perfectly chosen ratios cranks up the fun factor. Pumping a remarkable 200bhp from its naturally aspirated 2.0-litre four-cylinder engine, the Clio Raider is blessed with the same blistering performance as its regular brethren, namely a 141mph top speed and a 0-60 dash in less than 7 seconds. Such is the experience of driving it, it manages to feel even faster, with all your senses being overdosed with desire. Downchange before a corner and the RenaultSport engine snarls as the revs rise to match the spinning cogs in the gearbox. The steering itself is pin sharp and so in tune with the driver that the angle of the front wheels seems determined by thought control, rather than arm movements. Minimal input at the wheel produces the perfect amount of turn into a bend. As the apex is crested, the throttle is floored and forwards with hilarious rapidity the Clio thrusts. Burbling twin exhausts provide a symphonious accompaniment. Such is the impressiveness of the performance that the next bend is quickly upon you; a gentle squeeze of the brakes to activate the powerful callipers against the large discs, with a further rasping engine note on downchange and you’re away again. So, what does the exclusivity (and an additional £3700) of the Raider package buy you and the 49 others who take the plunge that the regular RenaultSport 200 doesn’t offer? 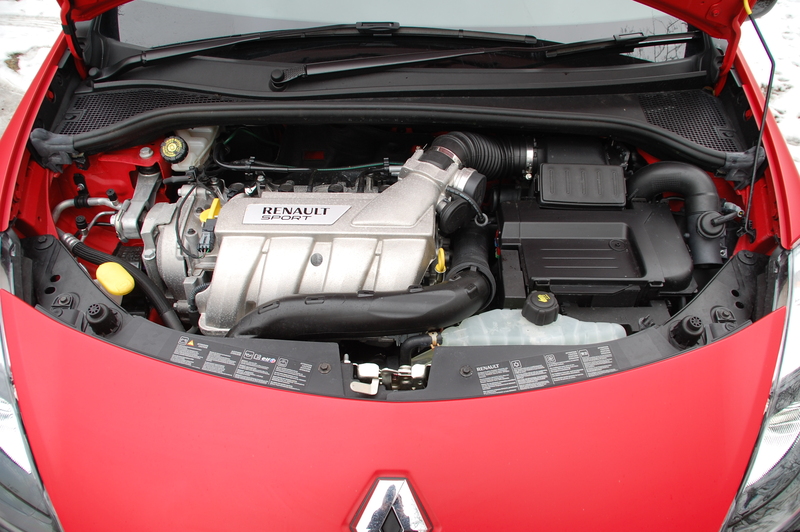 Firstly, it’s fitted with the uprated Clio Cup chassis, which in layman’s terms means the suspension’s both lower and stiffer, ergo it will corner harder and faster than the standard model and thus is even more able to extract extra ounces of performance from the engine in the bends as well as on straights. Most obviously from a visual perspective is the Renault i.d. matt paint, available in either Stealth Grey, or as tested here in Diavolo Red. Matt finishes on cars really don’t work for me and in certain lights, the Clio Raider looks like it’s been coated in a high quality blusher such is the pinkness as light shimmers across it. But, the matt paint does make the pumped up bodywork especially obvious, including those swollen front wings with exit vents. It also contrasts well with the gloss black nose elements which on the Raider are complemented by a similarly finished roof panel, rear roof spoiler and under bumper diffuser. 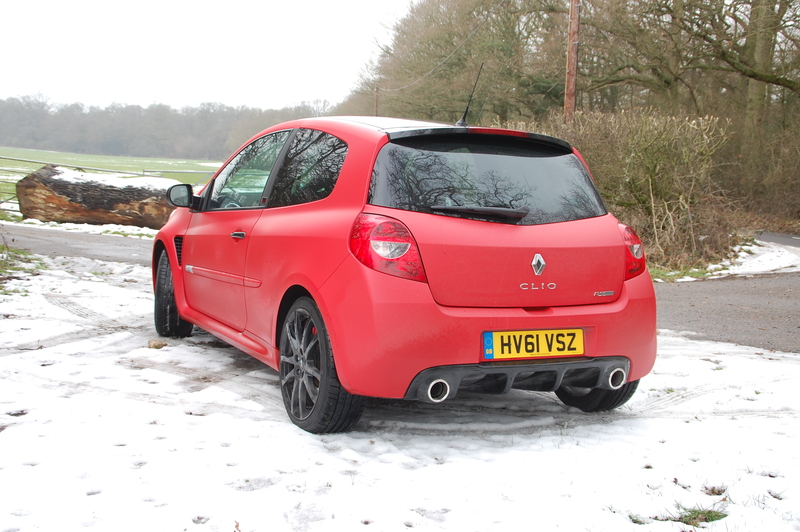 From the rear, with its wide haunches, the Clio 200 looks ominously purposeful. 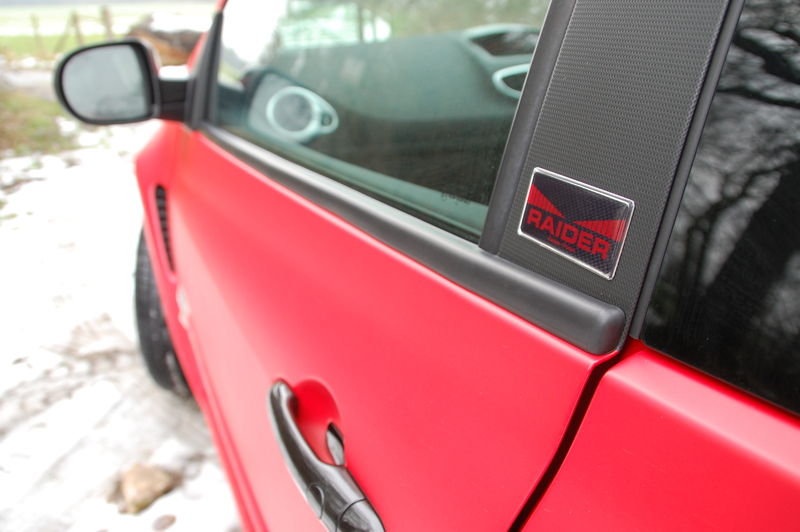 The Raider package also delivers 18” ‘Interlagos’ alloys, finished in grey and shod with Bridgestone RE050A ultra low profile rubber, Bluetooth and USB connectivity, electrically folding door mirrors, rear privacy glass and the obligatory limited edition numbered plaque on the dashboard. Whether the new Raider’s worth the extra cost over the standard RenaultSport 200 Clio is ultimately down to personal choice. Some may lament the lack of Midnight Blue paint as an option, I’m merely bemoaning the lack of a gloss paint finish full stop. Plaudits are immediate, becoming a legend takes a little longer.